Mumbai Indians and Rajasthan Royals will face each other in the 27th match of the Indian Premier League 2019. Both teams are coming from a thrilling game, where they ended on different ends. Mumbai defeated Kings XI Punjab in a run feast at Wankhede Stadium while Rajasthan received a heartbreaking loss from Chennai Super Kings’ hands. Both Mumbai and Rajasthan will try to win this game and look ahead in the tournament. If Rajasthan loses this game that will curtain their IPL 2019 season while a win will give Mumbai a chance to come close to the number one spot at Points Table. In Rohit Sharma’s absence, Mumbai played against Kings XI Punjab and conceded 197 runs. They got off to a shaky start but stand-in captain Kieron Pollard lead the team from the front to chase down the highest ever total at Wankhede Stadium. 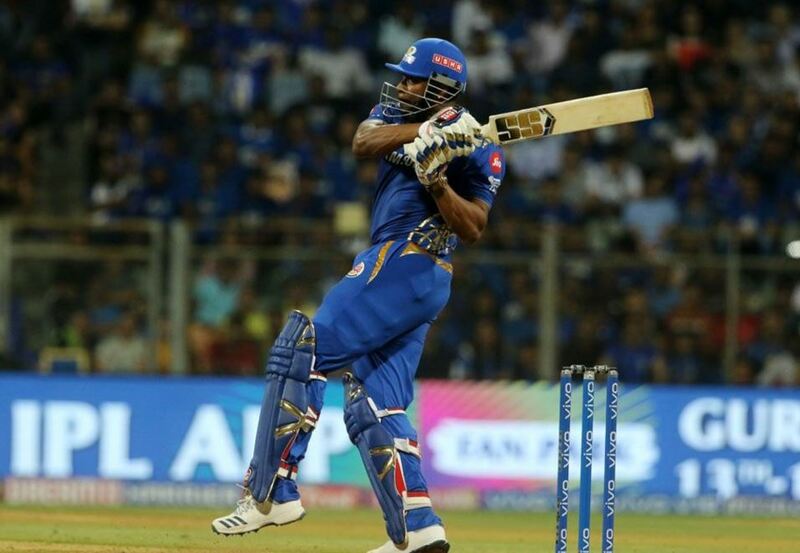 Pollard scored a blazing 31-ball 83 runs which helped Mumbai winning the game by three wickets on the last ball of the innings. Rohit Sharma is in all likelihood to come back in the team and Siddhesh Lad has to make way for him. Rest of the team is expected to remain unchanged. Probable XI: Rohit Sharma (C), Quinton de Kock (WK), Suryakumar Yadav, Ishan Kishan, Kieron Pollard, Hardik Pandya, Krunal Pandya, Rahul Chahar, Alzarri Joseph, Jasprit Bumrah, Jason Behrendorff. RR was on the verge to register their second win of the season against Chennai Super Kings. They were reduced to defend 18 runs in the final over but Ben Stokes’ misery to defend big runs in the final over is continued. He was looted for 21 runs by Ravindra Jadeja and Mitchell Santner alone. Who finished the game for CSK with four wickets in hand. Rajasthan’s batsmen are going through a run patch. Neither of them is looking confident to score big runs. The team management can opt for few changes for the game against Mumbai. Steve Smith should make way for finisher Ashton Turner while Ben Stokes has to promote in the batting order. There is no replacement of Rahane otherwise he would have been the first drop for the team management but they can look at Manan Vohra to open the batting or easily send Rahul Tripathi at this position. However, it will be the coach who will decide the playing XI. Probable XI: Ajinkya Rahane (C), Jos Buttler (WK), Sanju Samson, Rahul Tripathi, Ben Stokes, Ashton Turner, Jofra Archer, Riyan Parag, Shreyas Gopal, Jaydev Unadkat, Dhawal Kulkarni.